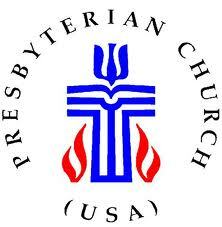 the Presbyterian Church (U.S.A.) or PCUSA. With over 1.9 million members in 11,000 congregations, it is organized into 173 presbyteries (district governing bodies) and 16 synods (regional governing bodies). Our synod, the Synod of the Mid-Atlantic serves the states of MD, DE, W.VA, VA and NC, and is organized into 14 Presbyteries. The Presbytery of Eastern Virginia (PEVA) is the district governing body for Suffolk Presbyterian Church and 57 other PCUSA congregations in the Hampton Roads/Eastern Shore area in Virginia. Suffolk Presbyterian shares space with Apple Tree Learning Center for their infant and toddler program.